ACOR Lecture: "Late Neolithic Colonization of Eastern Badia"
Unprecedented population growth, environmental degradation, and a reduction of rainfall by the end of the Pre-Pottery Neolithic B (PPNB) period (c. 8,700-7,000 BC) resulted in severe pressures on farming communities in highland Jordan and other parts of the Near East. One consequence of these developments was a concerted move into the eastern badia region by pastoral groups to take advantage of the pasturage for their sheep and goats, converting vegetation useless for humans into meat, dairy products, wool and hair, and skins. Long considered to be a slow and somewhat timid process of adapting to the arid regions, recent research in the Wadi al-Qattafi and Wisad Pools east of Azraq now indicates that the shift into the badia by shepherds was robust and widespread, establishing semi-permanent villages that were occupied for several months of the year, sometimes practicing occasional agriculture when seasonal rains permitted, as early as 6,500 BC. Clearly, the harsh desert countryside we see today was not the landscape that these early herding groups enjoyed. Dr. Gary Rollefson is Professor of Anthropology at Whitman College in Walla Walla, Washington. He has worked in the field of archaeology in Jordan for more than thirty years. He specializes in Near Eastern prehistoric archaeology and prehistoric religions in Jordan and Saudi Arabia. 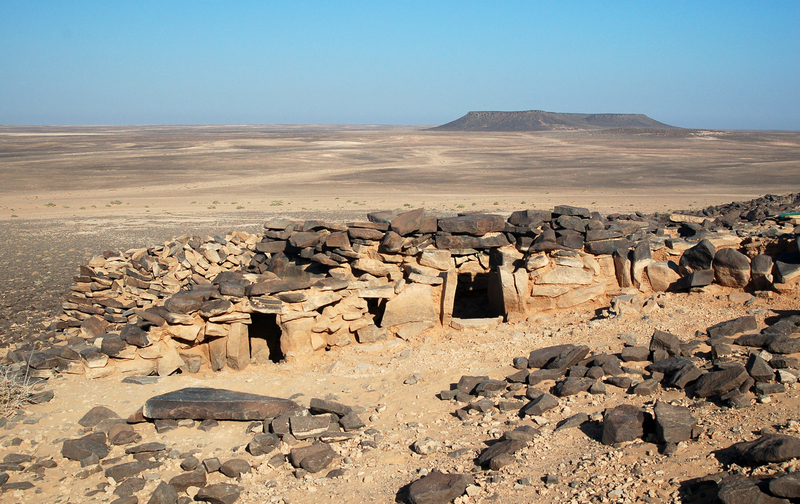 He is well known for his work, together with Jordanian archaeologist Zeidan Kafafi, at the site of ‘Ain Ghazal and the discovery there of Neolithic plaster statues. Rollefson first came to Jordan on an ACOR fellowship in 1978. He lectures and publishes extensively. Rollefson studied Anthropology at the University of California, Berkeley, B.A. (1965), and at the University of Arizona, M.A. (1972), and Ph.D. (1978).